Midfielder who joined Internazionale in 2013 after spending two years with Bologna. He debuted with the Algerian national team in 2013. He began his professional career with Grenoble in 2010. He was sent on loan to Southampton for the 2014-15 season. 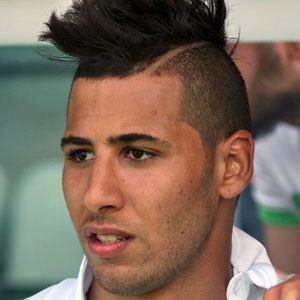 His older brother Nabil Taider became a member of the Tunisian national team. He and Hassan Yebda became teammates on the Algerian national team.